My Experiment with news paper on Canvas has led me to this , I have removed the legs of table as there are no rules in creativity . 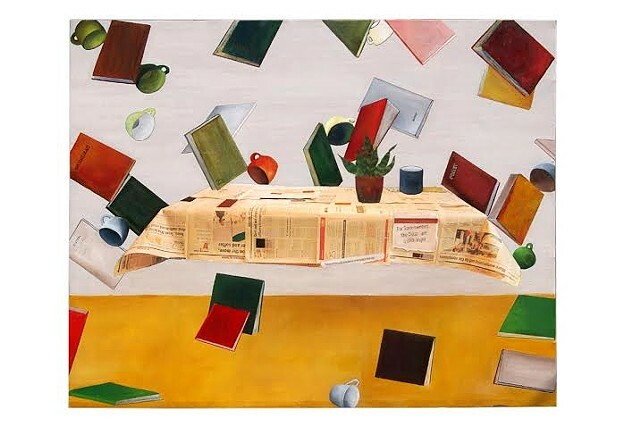 As books have always played a part in my paintings i have spread them in all directions and the little plant on the table adds to the liveliness of painting. As coffee and reading goes together colorful coffee cups have been added.